With centuries of ornate design and craft inspiring this stunning antique French wardrobe, the stories and history enriched within the piece will be sure to uplift the ambiance and class of any room. 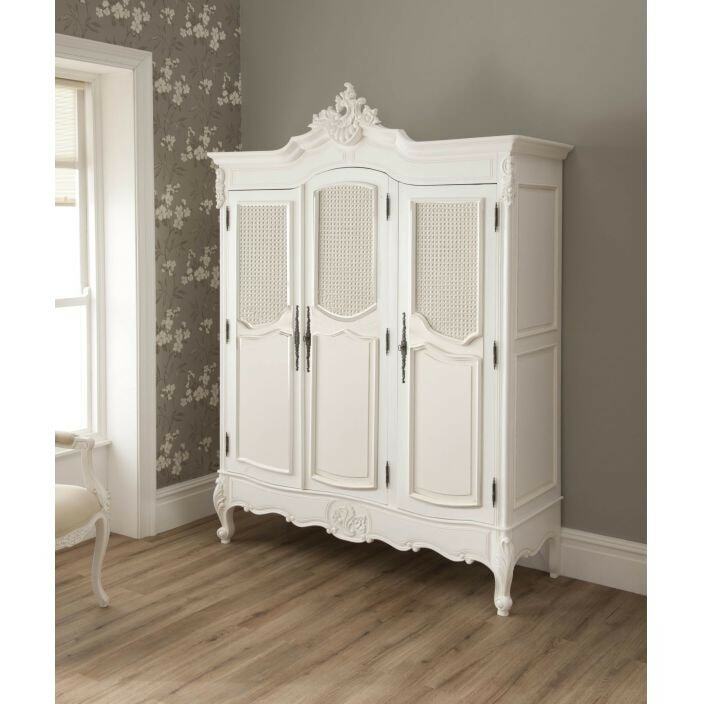 Featuring 3 half rattan doors and finished off in a luxurious antique white, this wardrobe will astound. So brighten up your bedroom today with the exceptional handcarved piece.